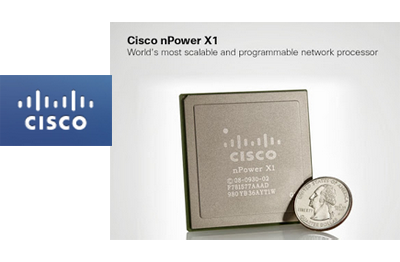 Cisco unveiled its nPower X1 integrated network processor -- the first generation of a new line of custom-developed silicon designed for programmatically handling high volumes of transactions at high data rates. Cisco said its nPower X1 is purpose-built for software-defined networking (SDN), enabling on-the-fly reprogramming for new levels of service agility and simplified network operation. 400 Gigabits-per-second (Gbps) throughput to enable multi-terabit network performance. All packet processing, traffic management and input/output functions are integrated on a single nPower X1 and operate at high performance and scale. Highest-performing programmable control designed to seamlessly handle hundreds of millions of unique transactions per second. The nPower's industry-leading processing architecture is purpose built for machine-driven events and ultra-high-definition video applications. 4 billion transistors on a single chip for performance, functionality, programmability, and scale. Enables solutions with eight times the throughput and one quarter the power per bit compared with Cisco's previous industry-leading network processor. "With over 4 billion transistors, this highly integrated 400 Gbps throughput single-chip will enable Terabit class solutions. It has sophisticated programmable control using open APIs and advanced compute operations that makes it ideal for software defined networks while handling extremely high event rates. It will help simplify network operations and allow new business models while it enables our customers to both support rapid bandwidth growth and transform the Internet." 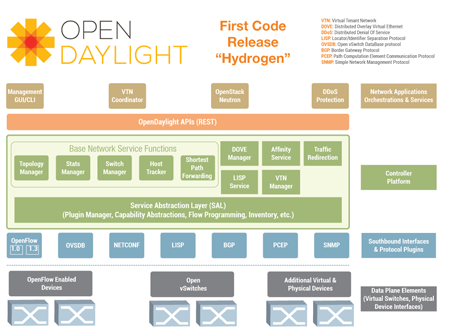 The OpenDaylight Project introduced "Hydrogen" -- the first release of its modular, open source SDN platform. The architecture aims to empower multiple use cases from enterprise IT to network providers to cloud service providers. OpenDaylight Hydrogen includes new and legacy protocols such as OVSDB, OpenFlow 1.3.0, BGP and PCEP. It also includes multiple methods for network virtualization and two initial applications that leverage the features of OpenDaylight: Affinity Metadata Service to aid in policy management and Defense4All for Distributed Denial of Service (DDoS) attack protection. A plugin for OpenStack Neutron has been integrated, and the Open vSwitch Database project will allow management from within OpenStack. Projects were contributed by Cisco, ConteXtream, Ericsson, IBM, Industrial Technology Research Institute (ITRI), NEC, Pantheon, Plexxi, Radware and developers Brent Salisbury and Evan Zeller from the University of Kentucky. “OpenDaylight has made great strides toward its goal of accelerating a common SDN platform. As the networking industry evolves to a software-defined world we are seeing open source development and design methodology as the driving force for modern architectures,” said Inder Gopal, Board of Directors chair, OpenDaylight Project. Even after the pending sale of its mobile devices and services to Microsoft, Nokia will remain a strong company with clearly defined interests in network equipment, location cloud services, and technology development, writes Risto Siilasmaa, the chairman of Nokia’s board, on the company blog. "With the recent decision, 32,000 of our 88,000 employees and little less than half of the trailing 12 month revenues move to Microsoft. 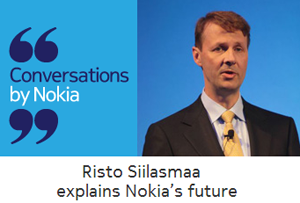 This is truly a transformational change for Nokia." NSN -- supplying technology and infrastructure to operators worldwide, with strengths in LTE and its Liquid Applications portfolio. HERE -- becoming the leading location cloud business through an offering across connected devices, enterprise solutions and car. Advanced Technologies -- building on the current CTO unit and the IP business. Recent innovations include technologies for video and audio encoding, including H.264 and HD voice; low-power connectivity technologies such as Bluetooth LE (low energy) and imaging technologies which are now powering augmented reality apps such as HERE Live Sight. The FCC and mobile operators announced an agreement that resolves handset interoperability issues in the lower 700 MHz bands. "After many frustrating years, wireless carriers have finally reached a voluntary industry solution that will resolve the lack of interoperability in the lower 700 MHz band in the most efficient manner. This is a big win for consumers, especially in rural areas, who will see more competition and more choices. Also, by making it easier for small wireless carriers to compete, today's interoperability solution will spur private investment, job creation, and the development of innovative new services and devices. "That's why for the past few years, I have been consistent in pushing for a final resolution to this issue. Thank you to all the parties - AT&T, The Interoperability Alliance, The Competitive Carriers Association, DISH, and the consumer advocacy groups - who came to the table and worked collaboratively with FCC staff to hammer out a solution that benefits all consumers. Radisys showcased a end-to-end virtualized LTE network at this week's Intel Developer Forum (IDF) in San Francisco. The Radisys LTE network demo features a virtualized small cell, LTE packet core and IMS Media Resource Function with performance optimized with the Intel Data Plane Development Kit. Running on the Radisys T-Series platform, the interactive demo features QoS optimized services including VoLTE, Video Optimization and Conferencing with Apple, Samsung and HTC clients. 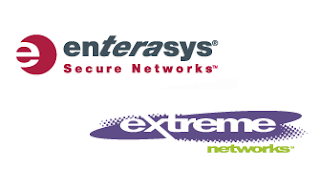 Extreme Networks agreed to acquire all outstanding stock of Enterasys in an all cash transaction valued at $180 million. Enterasys Networks, based in Salem, NH, is a privately held provider of wired and wireless network infrastructure and security solutions. It has approximately 900 employees and $330 million in annual revenues. Extreme Networks, which is based in San Jose, California, specializes in high-performance Ethernet switching for cloud, data center and mobile networks. Extreme Networks has received a preliminary debt commitment to finance at least $75 million of the purchase price, with the balance to be funded from cash on hand. The companies said they are committed to continue to support the product roadmaps of both companies going forward. "Since its first release in 2004, ExtremeXOS has been developed with a Linux abstraction layer that makes it relatively easy to extend ExtremeXOS to support other vendors' switching hardware," said Chuck Berger, President and CEO of Extreme Networks. "Combining Enterasys technologies and products including their Coreflow modular switches, IdentiFi wireless and the NetSight system management application will extend and complement our product offering which we expect will provide significant added value to the current customers of both Extreme and Enterasys." "Our number one priority is to ensure an even more positive customer experience by preserving the value of our current customers' investments and combining the best of both companies' technologies and talent," said Chris Crowell, President and CEO of Enterasys Networks. In November 2005, Enterasys was acquired by The Gores Group and Tennenbaum Capital Partners in a going-private, $386 million transaction. In 2008, the Gores Group, a U.S.-based private equity firm, acquired a 51 percent stake in Siemens Enterprise Communications. The Siemens Enterprise Communications business was merged operationally with two of Gores' portfolio companies -- Enterasys, a network equipment and security solutions provider and SER Solutions, a call center software company. Ericsson, Eutelsat Communications, Globecast, Newtec and SKY Italia have completed a series of live tests focused on the reliability of an end-to-end satellite-based delivery chain for contribution of live images in 4k. The companies said the success of these tests prove that the satellite delivery chain is able to feed Ultra HD television channels. The 4k feed was produced by SKY Italia in Quad HD format (3480x2160) at 60 progressive frames per second (fps) using different camera brands and video mixers. The live sequences from the mixers were then delivered in the form of a quadruple 3G-SDI signal to Ericsson ' s Content Acquisition solution. Using Ericsson AVP 2000 Contribution Encoders, that are able to provide true 4k Ultra HD contribution feeds, the signal was compressed in MPEG4 AVC at 60 progressive frame rates per second and 10-bit, 4:2:2 resolution. The signal was then modulated by the Newtec AZ110 Satellite Modulator, using DVB-S2 16APSK Modulation, making 89 Mbit/s of throughput available over a conventional 36MHz Ku transponder on board the EUTELSAT 5 West A satellite located at 5° West. The satellite uplink was performed and monitored by Globecast from one of its HD SNG trucks, equipped with a 1.5m antenna and 400W amplifier. The feed was received in Milan and in Southampton with 2.4m antennas. 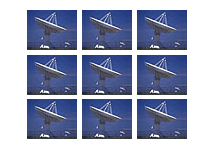 Signal availability was higher than 99.97%. The sequences were then received via 4x Ericsson RX8200 Advanced Modular Receivers feeding a Quad HD professional display. 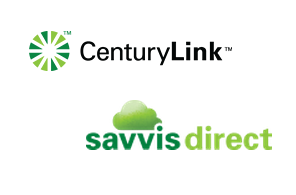 CenturyLink's Savvis division announced plans to expand connectivity to Aquis Exchange, the proposed pan-European equities trading exchange and software developer. Aquis Exchange, which has applied for regulatory approval as a multilateral trading facility from the UK FCA, was established in October 2012 with the aim of strengthening competition in the European trading landscape through the introduction of subscription pricing and innovative order types, which can lower trading costs for market participants. Savvis Markets Infrastructure provides enhanced network and latency management tools, plus access to more than 200 exchange and liquidity venue feeds, to financial service organizations across the globe. CenturyLink was awarded a cloud hosting contract from the Federal Communications Commission (FCC) valuded at up to $1.1 million over the next three years. The delivery order was awarded to Savvis Federal Systems Inc., a CenturyLink company. The company will provide managed, scalable public cloud hosting services for www.fcc.gov, myfcc.gov and the commission's other public website domains. The contract is for infrastructure as a service (IaaS) and includes migration of the existing website infrastructure to a CenturyLink cloud data center. Last year, CenturyLink won two task orders to provide private Wide Area Network (WAN) services and Managed Trusted Internet Protocol Services (MTIPS) to the FCC. The two task orders could be worth close to $10 million over the course of five years. Broadcom introduced new set-top box chipsets supporting UltraHD subscriber hardware and content. These new set-top box (STB) devices for satellite, cable and IP integrate support for the advanced high-efficiency video codec (HEVC) standard H.265 that will allow existing high-speed data networks to better utilize the higher throughput required by UltraHD content. Broadcom said its new designs have been architected to support UltraHD/4k up to Main10profile and up to 60 frames per second. They are designed to rapidly incorporate the latest HDMI 2.0 digital TV interface standard. "Broadcom first pioneered UltraHD technology with the introduction of the BCM7445, the world's first 4Kx2K TV home gateway chip, in January of this year," said Rich Nelson, Broadcom Senior Vice President of Marketing, Broadband Communications Group. "With the launch of today's HEVC chipset series, Broadcom continues to demonstrate its commitment to proliferating HEVC across the broadest possible product range and to support our customer requirements to drive this technology quickly into the market, particularly as lower-cost UltraHD TVs drive consumer awareness." SaskTel, the full service communications provider in the Canadian province of Saskatchewan, has conducted a trial of 400G optical transport technology in partnership with Alcatel-Lucent. The trial took place on a live network between Regina, the provincial capital of Saskatchewan, and Saskatoon more than 250 km away on a network originally designed for 10G. Cisco introduced its Smart+Connected City Wi-Fi integrated solution geared toward helping municipalities provide citywide connectivity. The aim is to establish a platform where the Internet of Things (IoT) can be fully utilized to develop new services for citizens. Smart+Connected City Wi-Fi integrates Cisco technologies to provide a practical and holistic approach for citywide wireless connectivity with high levels of security and privacy for location-based services. 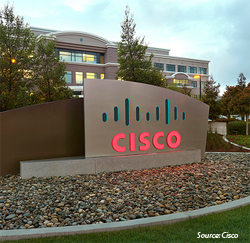 The portfolio includes the Cisco Wi-Fi outdoor mesh, Cisco’s ruggedized routing and switching IoT portfolio, Cisco Prime and Mobility Services Engine (MSE) technologies. Smart+Connected City Wi-Fi creates city-managed outdoor Wi-Fi networks that optimize security of the data being transmitted and collected across the city. The solution is built via a three-layer logical architecture composed of the street layer (outdoor access points), city network layer (which connects hardware to the data center) and data network layer (which provides resources to enable city Wi-Fi applications and services). “Cities today are up against a myriad of challenges brought on by factors such as the massive growth in population and the global competitive landscape. In a world where 15 billion connected devices are projected to exist by 2015 and 50 billion by 2020, cities have the opportunity to transform the way citizens experience urban life. With an intelligent networking platform in place, you create new and innovative services to address the issues of the 21st century,” stated Wim Elfrink, EVP of Industry Solutions and chief globalisation officer, Cisco.